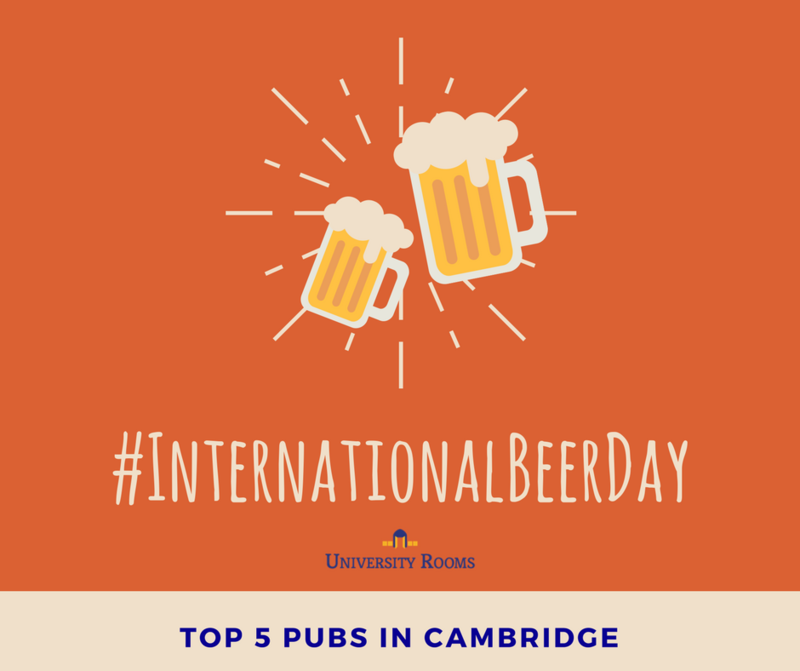 To celebrate #InternationalBeerDay we are bringing you the UniveristyRoom's Guide to the Top Five Pubs in Cambridge! Have a pint at The Eagle, the drinking and thinking hub where Watson and Crick announced they had discovered 'the secret of life' (otherwise known as the formula for DNA), and home to the RAF bar, with graffiti of World War II airmen covering the ceiling and wall. Aside from its impressive history and famous alumni, it’s also a good spot for a drink and some good conversation. Although a little difficult to find, once you’ve uncovered this treasure trove pub in central Cambridge you’ll undoubtedly be back for more. Owned by the same family since 1982 this pub has a tried and tested recipe for success- just ask their regulars! The pub specialises in real ales by local beers from smaller breweries. A real treat. Although not a traditional pub, with it's quirky and hip decor, if it’s name tells you anything it's that this bar makes a good pint. The eclectic food menu features delights such as a hot, runny scotch egg with mustard, but it's their award-winning drinks menu (pictured above) that really shines through. Just a short walk from the train station sits The Flying Pig, a small, cosy pub which is immensely popular with locals because of it's extensive selection of real ales. A ‘Proper Pub’, the staff are very knowledgeable about their beers adding to this pubs lovely character. There is live music at the weekends and in the summer it's so popular that customers flow out into the neighbouring carpark! Popular with students and locals alike, The blue moon prides itself on it's knowlageble service and selection of craft beer from all over the United Kingdom as well as America, Norway, Belgium, Germany, and Austria, From March – October the pub will be hosting some of thier favourite craft beer brewers, with anything up to 10 keg lines dedicated to showcasing some of the most interesting and delicious beers available in the UK. UniversityRooms offers comfortable B&B style accommodation in the Cambridge's student residences from just £35 a night.